Brendan Galvin is the author of sixteen collections of poems, including the following titles from Louisiana State University Press: The Air’s Accomplices (2015); Whirl is King (2008); Ocean Effects (2007); and Habitat: New and Selected Poems, 1965-2005 (2005), which was a finalist for the National Book Award. His translation of Sophocles’s Women of Trachis (University of Pennsylvania Press, 1998) appeared in the Penn Greek Drama Series. 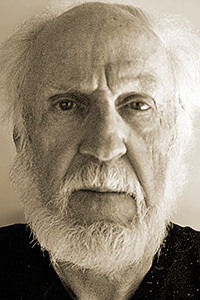 His awards include a Guggenheim Fellowship, two National Endowment for the Arts Fellowships, the Sotheby Prize of the Arvon Foundation (England), the Iowa Poetry Prize, and Poetry’s Levinson Prize, as well as the first OB Hardison, Jr. Poetry Prize from the Folger Shakespeare Library, and the Charity Randall Citation from the International Poetry Forum. He has been Wyndham Robertson Writer in Residence in the MA program at Hollins University, Coal Royalty Distinguished Writer in Residence in the MFA program at The University of Alabama, Tuscaloosa, and Whichard chairholder in the Humanities at East Carolina University.